A drop of deco dreaminess, these Silver Gatsby Drop Earrings are simple yet stunning. 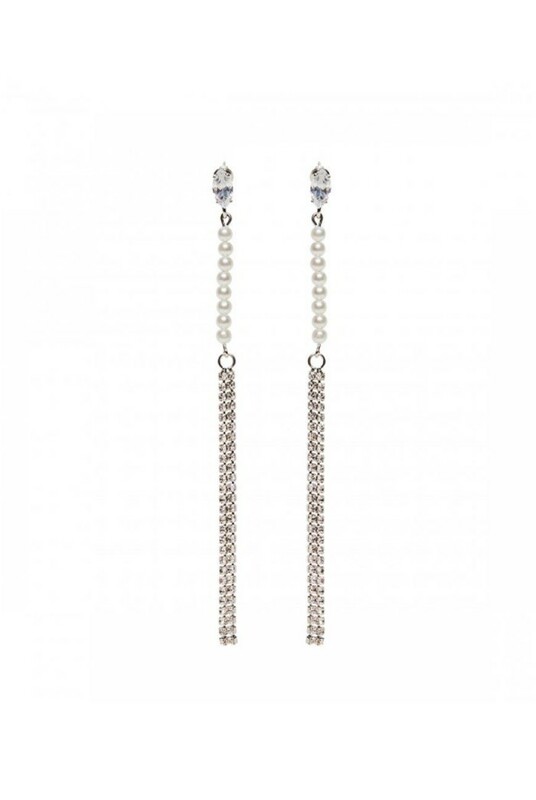 A great idea for a present, these long silver and pearl earrings bring some flapper style without being too OTT. We love the look with everything from fringed dresses to white shirts with turned up collars. Pop on a pair of these tassle earrings and you will instantly feel like your look is complete. - Single diamante teardrop (so pretty). - Drop row of faux pearls holding strands of round diamante stones (shimmer and pearly shine).